Really Participate in the Cooperative You Own and Join Acre Co-op Owners for Political Action (ACRE-COPA). By clicking submit below, I acknowledge my contribution. Keep your energy bills affordable because it improves your quality of life.  Help your cooperative keep your energy service reliable. Assist your efforts to use energy more efficiently. Make renewable energy more affordable for you. Help rebuild your cooperative after a storm. Protect our economy and jobs when making energy laws. What is Co-op Owners for Political Action? Co-op Owners for Political Action (COPA) gives you, the member-owner, the opportunity to use your voice on behalf of your cooperative. State and federal government officials make policy decisions that affect your local cooperative and your way of life. This program is an easy way for you to help determine who gets elected to make those decisions. The Action Committee for Rural Electrification® (ACRE)® is the political action committee (PAC) of the nation’s electric cooperatives. Founded in 1966 by the approximately 1000 cooperatives of the National Rural Electric Cooperative Association (NRECA), it supports candidates for state and federal office – those in office now and running for office – who will speak for and protect the interests of cooperatives and their member-owners. Your participation in the nationwide ACRE-COPA program ensures that the voice of cooperatives remains strong in our nation’s capital and in your state legislature. Maintaining a strong grassroots presence in the political process is instrumental to the long-term success of the cooperative program and the communities they serve in these unpredictable times. The law allows individuals with common interests to pool their resources using PACs in order to make political contributions to candidates for state and federal office. Currently 33,000 like-minded supporters of the cooperative program combine their contributions through ACRE-COPA. Candidates who receive a substantial contribution from ACRE-COPA get an important message about your interest in your local community’s cooperative. The candidate knows that the cooperative member-owners and employees who supported them want to elect individuals to office who will make good policy decisions on their behalf. No. The Internal Revenue Service has ruled that all political contributions, such as those to Co-op Owners for Political Action®, are not tax deductible. What Do I Receive for My Contribution? The most important benefit that you receive as an ACRE-COPA member is a voice in helping elect state and federal officials that will support your cooperative and your community. In addition, you will receive quarterly issues of the ACRE®Action newsletter, which includes legislative alerts, profiles of cooperative leaders, and other timely features. With the exception of a small federal tax payment of less than one percent, all contributions to ACRE-COPA go directly to the campaigns of candidates for political office. In addition, a portion of your contribution (about half) may be refunded to your state cooperative PAC to support candidates for state office. Who Determines How These Contributions Are Made? ACRE-COPA follows established procedures for making contributions to candidates running for political office. Factors that determine financial support include the candidate’s position on issues critical to cooperatives, as well as their votes and public statements on these issues; the candidate’s committee assignments and leadership positions and his or her relative importance to cooperatives’ and a candidate’s financial need and the strength of his or her opponent. The candidate’s political affiliation is never taken into account. Individual states have their own guidelines for making contributions to candidates for statewide offices. While these rules are set by the individual states, they often mirror those guidelines used by the national ACRE-COPA program. Our ability to serve you and your community is heavily dependent on members like you who use ACRE-COPA to get the right people into political office. The personal dedication of member-owners to stand together forms the backbone of a powerful grassroots network that promotes policies to secure the future of your cooperative and the families they serve. This is an opportunity to make a huge difference. Please consider it!